PhpStorm has had support for command line tools for a while. 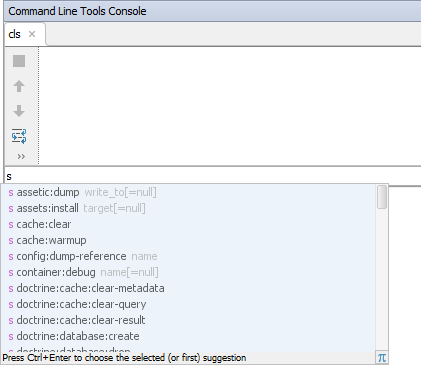 Using the command line tools, we can invoke commands right from our IDE! We can bring up the command line tool using the Tools | Run Command… menu or with Ctrl+Shift+X (Cmd+Shift+X on Mac). 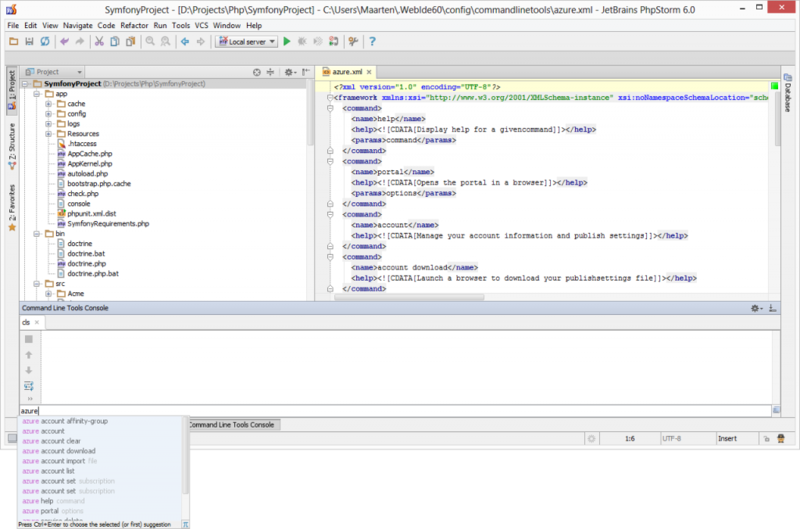 Check other video tutorials around PhpStorm. The command line tools console will have autocompletion support for the Symfony tool, aliased as s.
Out of the box, PhpStorm comes with support for Composer, the Zend Framework tool (zf) and Symfony’s command line tool. 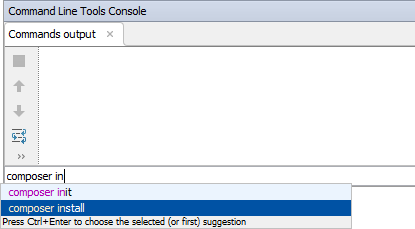 What about adding autocompletion for custom tools? 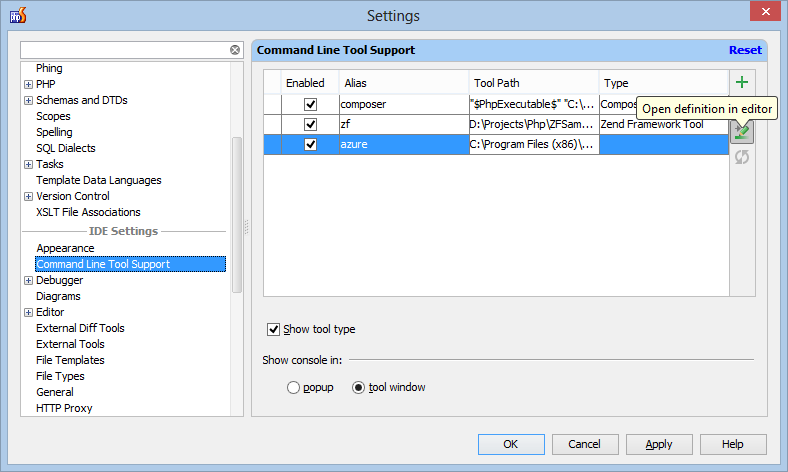 Custom command line tools can be added through the IDE Settings | Command Line Tool Support pane as well. The only difference is we now have to specify the alias for the tool we wish to use as well as the path to this tool. 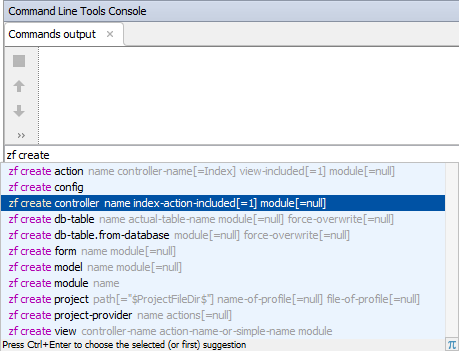 Of course, PhpStorm can not determine autocompletion for every custom tool we add automatically. Fortunately, we can create our own definition. From the settings dialog, click the Open definition in browser button to generate a boilerplate command line tool description. We can now define commands, parameters and help information for our custom command line tool. Find a more detailed tutorial on our developer community website. After saving the XML file containing the description, PhpStorm will recognize the command and provide us with autocompletion for our custom command line tool. A Gist for the above screenshot can be found here. Please report any bugs and feature requests here, and leave questions in the comments below or in our forums! 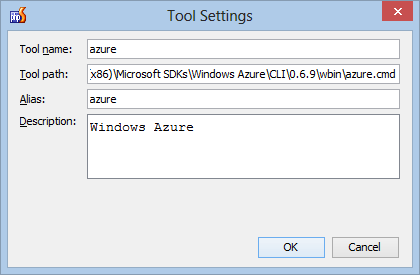 This entry was posted in Cool Feature and tagged Commandline, completion, composer, productivity, settings, Windows Azure. Bookmark the permalink. It will be nice to have auto-complete functionality for GIT. 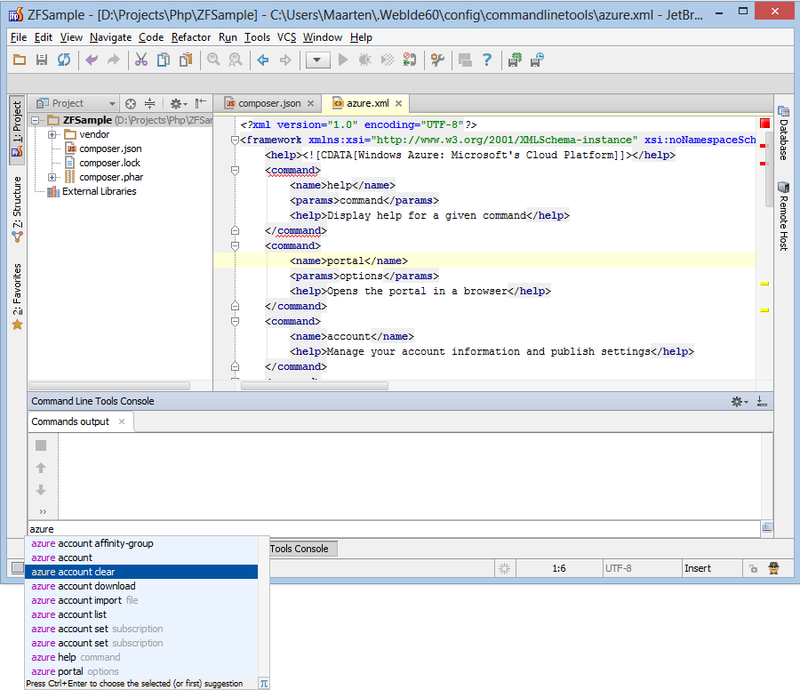 See http://devnet.jetbrains.com/docs/DOC-1230, you can create your own autocompletion information if needed. If you created the custom xml for suggesting git commands, can you please share? as a gist maybe? From the CommandLine Tool support dialog, remove the $PhpExecutable$ variable and change it with the PHP executable of your choice. Are you saying to replace ‘$PhpExecutable$’ with the full path to the php executable, in my case “/Applications/MAMP/bin/php/php5.5.3/bin/php”? If I do this, save the change, and click the ‘reload commands’ button, it reverts back to ”$PhpExecutable$’. Or am I doing something wrong? Btw.. what I am trying to get to is where I can enter ‘php -v’ into the command line tools console and have it show my current MAMP php version rather than the OS php version. 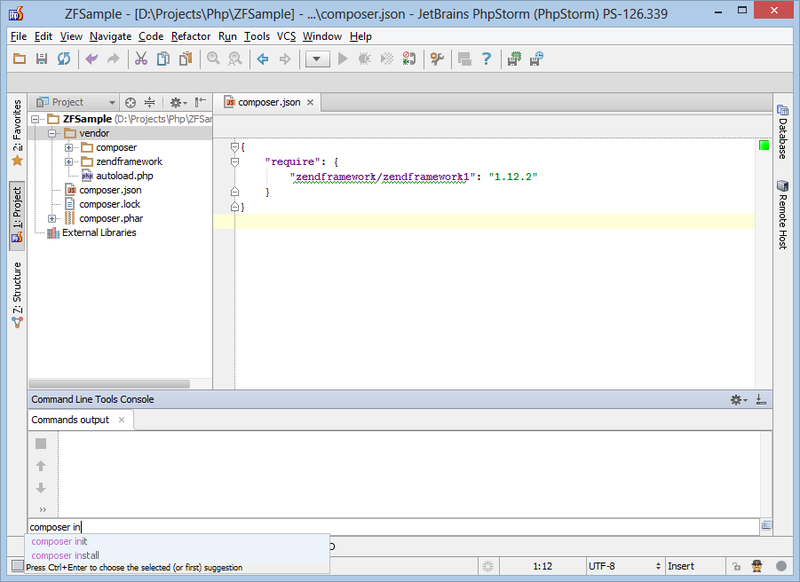 Can you try http://blog.jetbrains.com/phpstorm/2013/07/command-line-tools-in-phpstorm/#comment-2467 ?